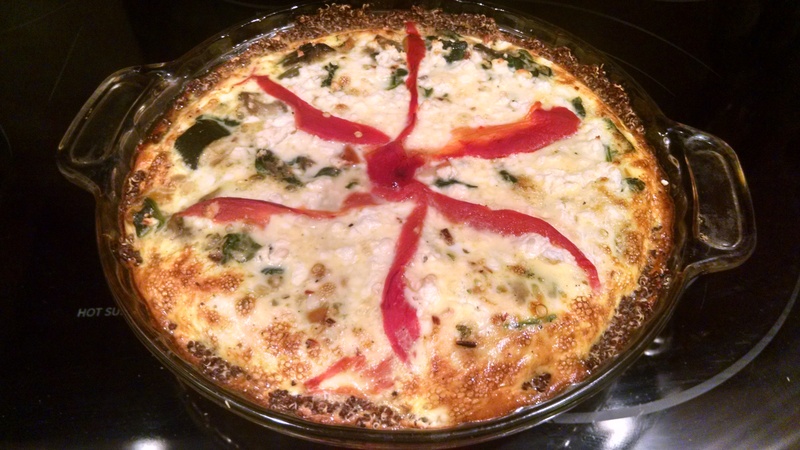 We enjoy a good Quiche every once in a while and this one turned out great. Lyn grabbed some roasted vegetables and added to this but topping off with some freshly roasted red bell pepper to me was one of the best tastes to this make it again dish. Lyn likes her cauliflower cake better and someday I’ll be there when she makes it so I too . 1. For the crust, preheat oven to 375°. 2. 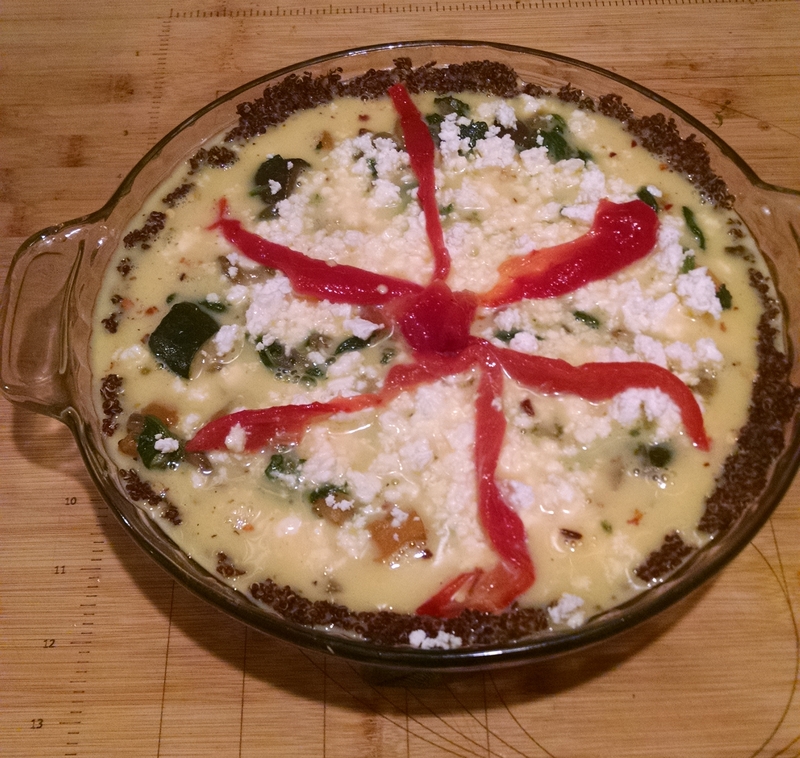 Combine quinoa, pepper, and egg in a bowl, stirring well. Press mixture into bottom and up sides of a 9-inch pie plate coated with cooking spray. Bake at 375° for 20 minutes; cool. 3. For the filling, heat a nonstick skillet over medium heat. Add oil and onion; sauté 3 minutes. Add spinach; sauté 3 minutes. Remove from heat; cool. 4. Combine milk and next 5 ingredients in a bowl; stir with a whisk. Arrange spinach mixture in crust; pour egg mixture over spinach. Sprinkle with feta. Bake at 375° for 35 minutes. Let stand 5 minutes; cut into 4 wedges. This entry was posted in Eggs, Vegetable, Vegetarian, Vegan, Vegetables and or Vegetarian. Bookmark the permalink.